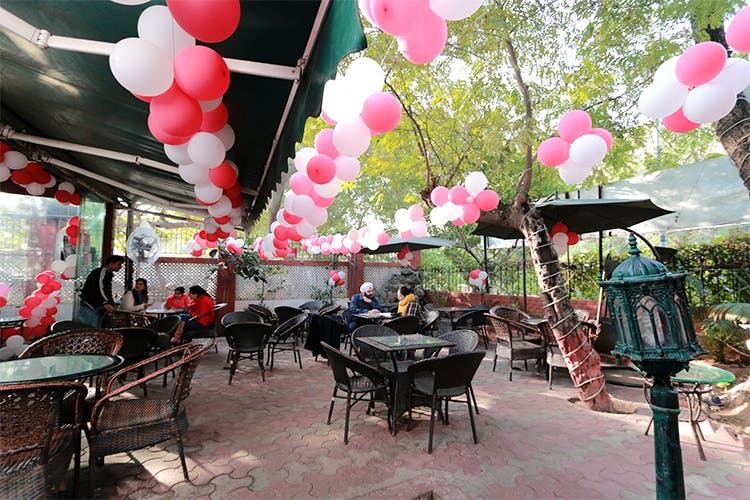 A cafe with a garden-like outdoor seating, if you want to chill, read a book, play chess or meet a colleague, this is the place. And it’s pretty affordable too. Anyone who likes to sit around plants and trees, soak up the sun on winter mornings, go for a coffee at midnight. It’s open till 1am. I personally love their Chicken Picatta along with a glass of cold coffee. They also highly recommend their sandwiches and Chicken Parmesan. They have a pretty vast menu so chances are you’ll find at least something to your liking. We love that their main course is available in two sizes- Tapas and American. This way, you can get more variety on the table and get a taste of everything before deciding your favourites. They also have something called Rissoats which we’re gauging is a blend of risotto and oats. Available in flavours such as masala and pesto, this might be a good option if you’re making a conscious effort to eat healthy. PS: There is ample parking space, and since it’s on army territory, all with a defence ID get a discount.